Every training method has advantages and disadvantages. For example, supporters of pressure-based training methods particularly emphasize the possibility to quickly achieve results. However, after highlighting their successes they tend to forget to mention the possible consequences that are frequently overlooked. Every decision in training has direct and indirect consequences. For instance, a certain kind of punishment might be useful at times to inhibit an unwanted form of behavior but it might also have various indirect consequences on the horse’s future behavior. Suppose a horse, as is common practice in traditional horse training, is encouraged by the driving force of the whip to move around on the longe line. 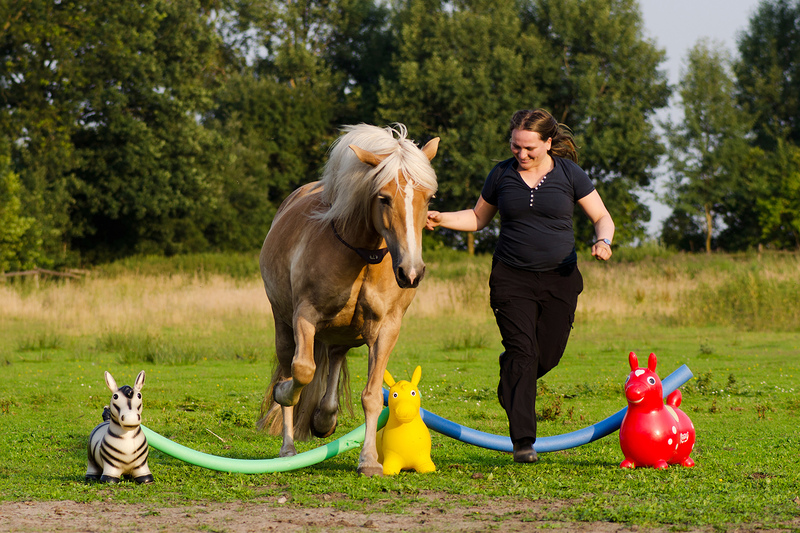 Experienced trainers will easily be able to direct the horse with pinpoint accuracy, and reach the desired pace in little time even in the faster gaits because the flight animal horse tends to immediately react to driving aids. In contrast, positive reinforcement has a much harder time motivating a horse to lively and steadily circle around a human being. This requires at least good timing, a skillfully constructed training setup, knowledge about the right place to hand over the treat, and a series of many repetitions. Traditional trainers frequently forget to mention the various consequences, and the possible negative effects of pressure-based approaches. Many horses get used to the prevailing pressure, and it requires more and more pressure over time to achieve the same result. Other horses become increasingly insecure and jittery; they trust human beings less and less, and they start showing strong signs of avoidance. The fun and enjoyment we sense when we work and do things together gets left out, and many traditionally trained horses completely lose their natural quality of movement and their esprit; a further frequent consequence of this is muscle tension. In contrast, a forward that has been developed in a positive way allows the horse to learn at its own pace. It does not get stressed, and is able to develop its innate joy of movement. Furthermore, using rewards in the training process prevents follow-up costs, and generates positive credit for the future; it establishes trust between human and horse that will benefit them for a long time.